Agricultural / crops production faces a myriad of risks. Nevertheless, two major risks are of concern to the agricultural / crops sector. price risk caused by potential volatility in prices and production risk resulting from uncertainty about the levels of production that primary producers can achieve from their current activities. It is likely that these major risks will increase in the future price risk due to liberalization of trade and production risk caused by the effects of climate change. The trend towards agricultural specialization is likely to continue which will increase these risks as producers rely on the production of a smaller range of crops and consequently cannot diversify risks as effectively. Agricultural risks not only affect farmers, they also affect the whole agribusiness value chain. Each of the participants along the supply chain, from the suppliers of inputs to the end consumer, are subject to these risks. As the interconnections between the participants in the value chain are becoming more close and complex, the possibilities of adverse events being transmitted between participants are increasing. Agricultural / crops risk management relies on an optimal combination of technical and financial tools. Agricultural value chain participants can use several tools, whenever they are available, to deal with these multiple sources of agricultural risk. Agricultural value chain participants may avoid risk for instance, by choosing not to select a particular crop or crops which they consider of high risk for the area in which their farms are located. They may also mitigate risks, they may seek to lessen the risk through, for example, planting crops only in very favorable conditions or developing further their infrastructure to improve irrigation or minimize the effects of frost. Lastly, they may transfer all or part of the risks to a third party through an insurance contract. Of course, they may mitigate the financial effects of these risks by creating emergency reserves from profits in good years a form of self insurance. This primer is concerned exclusively with the use of agricultural / crops insurance by firms in the agribusiness value chain to manage their risks. 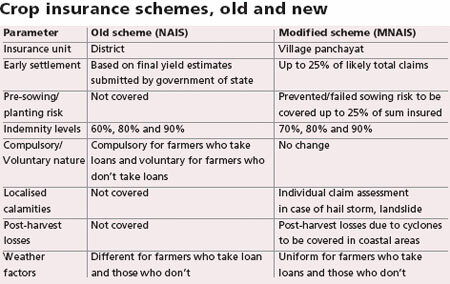 The primer defines what is meant by agricultural insurance, gives an overview of the market and explains the challenges of this type of insurance. Further, it discusses the range of agricultural insurance products and their practical application in the sector. It concludes with a description of the reinsurance market for agricultural insurance and an overview of public sector participation. In general, insurance is a form of risk management used to hedge against a contingent loss. The conventional definition is the equitable to agricultural Insurance transfer of a risk of loss from one entity to another in exchange for a premium or a guaranteed and quantifiable small loss to prevent a large and possibly devastating loss. 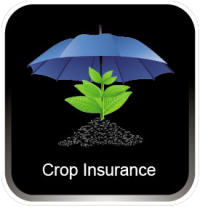 Agricultural / crops insurance is a special line of property insurance applied to agricultural firms. 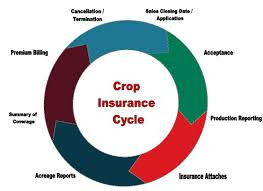 In recognition of the specialized nature of this type of insurance, insurance companies operating in the market either have dedicated agribusiness units or outsource the underwriting to agencies that specialize in it. Agricultural / crops insurance is not limited to crop insurance it also applies to livestock, bloodstock, forestry, aquaculture, and greenhouses. Insurance in agriculture system has been introduced to compensate for the loss and all such aspirations of the people. The role of the field of agriculture for success whether it is payforessay.net legit or not for the right and fundamental quantum of the success.